A long-standing destination in the Seneca County region, Meadowbrook Park continues to maintain a spot for vacationers. The park is a 130 acre family recreation oriented park that includes camping, swimming, picnic areas and children’s playground. There is a court area that includes tennis, basketball, and roller hockey courts. A sand volleyball court and softball diamond is across from the pool area. There is also has a giant chess and/or checker board and a horseshoe court. Meadowbrook has an 18 hole disc golf course that intertwines with the park features. Meadowbrook is the home of the Historic Redwood Ballroom, which dates back to 1933. 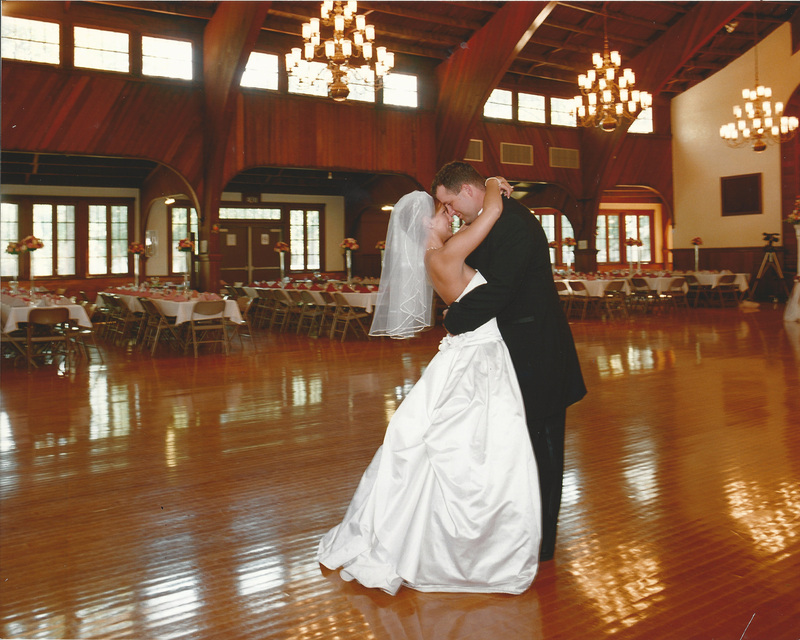 The Ballroom has a rich history of providing recreation for generations from its beginning as a Dance Hall and continues to be “the” iconic wedding site for the surrounding region. The Ballroom has kept up with the times and is air-conditioned as well as handicapped accessible. It also hosts many charitable events throughout the year for various groups. The quarter acre Crystal Pool has been a key part of the recreational amenities since 1930. It has a large shallow end with a dual chute water slide. The deep end has two diving boards with the highest being a three meter board. There is also a separate fenced wading pool for toddlers. The main pool is handicapped accessible. 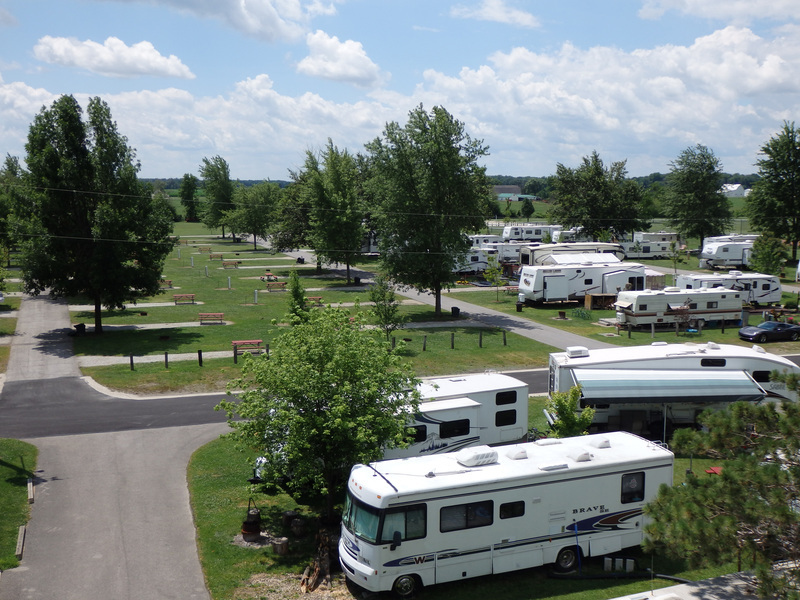 Meadowbrook Family Campground has both seasonal and weekend camping sites that can be reserved by calling in advance. Many families camp for the weekend in conjunction with other activities held at the park such as family reunions, weddings in the Ballroom or other local events. 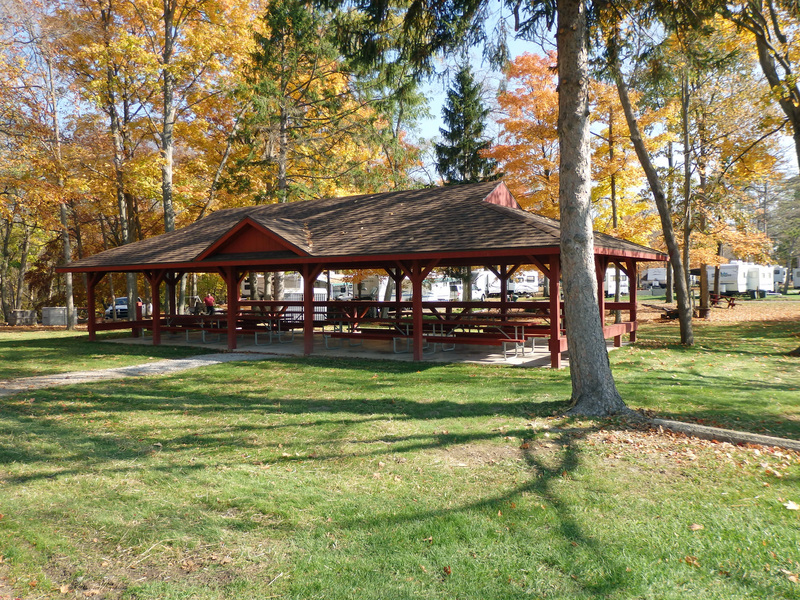 The park has 9 picnic shelters for family reunions and other group activities. The shelters can accommodate parties of 50 to 300 depending on the size of the shelter. There are also open picnic tables and grills located throughout the park for use by visitors. Meadowbrook is a safe place to walk for exercise. Many people use the paved drives for their daily walks and others like to hike the trails in the woods. Meadowbrook Park has established a Tree Memorial program by which a person can donate a tree to memorialize someone. The person will be remembered in a Memorial Book that will be located in the Tree Memorial Shelter. The memory page will also be numbered with a locator number so a person wishing to see the tree can easily se where the tree is located on the wall map and then walk to the actual tree. The trees will also be listed in the Memorial Book by species so that school children can use the trees in the park as part of their botany studies. If you are interest in donating a tree to honor the memory of someone, contact the park office for details. Phone (419) 937-2242. The trees must be a least 10 to 12 feet in height with at least a 2 to 2 1/2 inch caliper and have a mature height of 40 to 80 feet. The tree must also be indigenous to the area. The Ballroom at Meadowbrook Park is one of the premier rental halls in the region. Meadowbrook Park has 9 shelters available for rental. Shelter capacities vary from 100-300 people.